Bosses at South Tyneside’s premier arts venue have two reasons to celebrate this panto season. The opening night of Beauty and the Beast at The Customs House in South Shields also sees the launch of its 25th anniversary celebrations. A year-long programme of events has been drawn up, including the return of the plays Tom and Catherine and When the Boat Comes In to the Mill Dam theatre. The Customs House has also announced that next year’s panto will be Snow White, which was the first panto to be performed at the venue in 1994. And the sequel to When the Boat Comes In – When the Boat Comes In: The Hungry Years – will hit the stage in September. 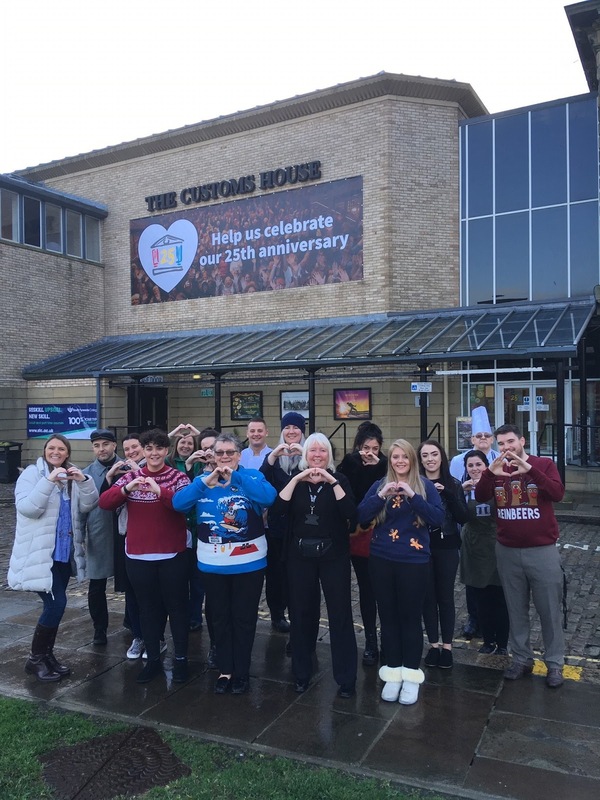 A fundraising campaign has also been launched to give people the chance to show their love for The Customs House by sponsoring a heart. 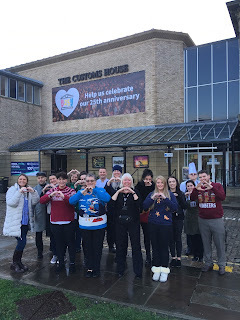 The hearts will be displayed in the box office area at first before spreading throughout the building to commemorate its 25 years as an arts venue. Each heart will contain a small message, so people can dedicate it to someone or add something to signify their precious memories of The Customs House. The hearts are available in four sizes and prices start at £25. People can also get involved in the 25th anniversary celebrations by snapping up one of 25 places The Customs House has secured for The Great North Run. Panto stars Dame Bella and Arbuthnot – aka Ray Spencer and David John Hopper – will be among the runners taking part in the half-marathon from Newcastle to South Shields on Sunday, September 8, 2019. To join them, runners must raise a minimum of £250 in sponsorship for The Customs House Trust. For more information, contact Kelly Anders on (0191) 427 8199 or e-mail kelly@customshouse.co.uk. Beauty and the Beast runs from Tuesday, November 27, to Saturday, January 5. Performance times vary and ticket prices start at £9.99. For more information, contact the box office on (0191) 454 1234 or visit www.customshouse.co.uk.